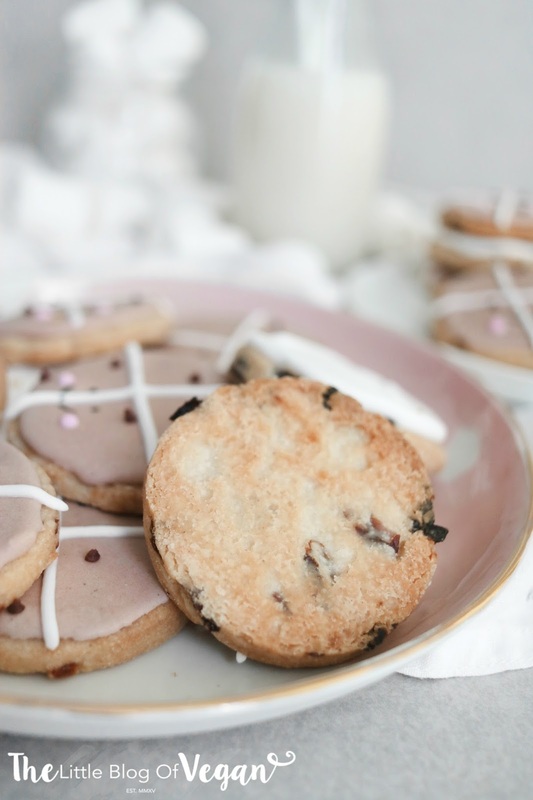 Did someone say hot cross bun cookies?! Yes, you heard me right!! 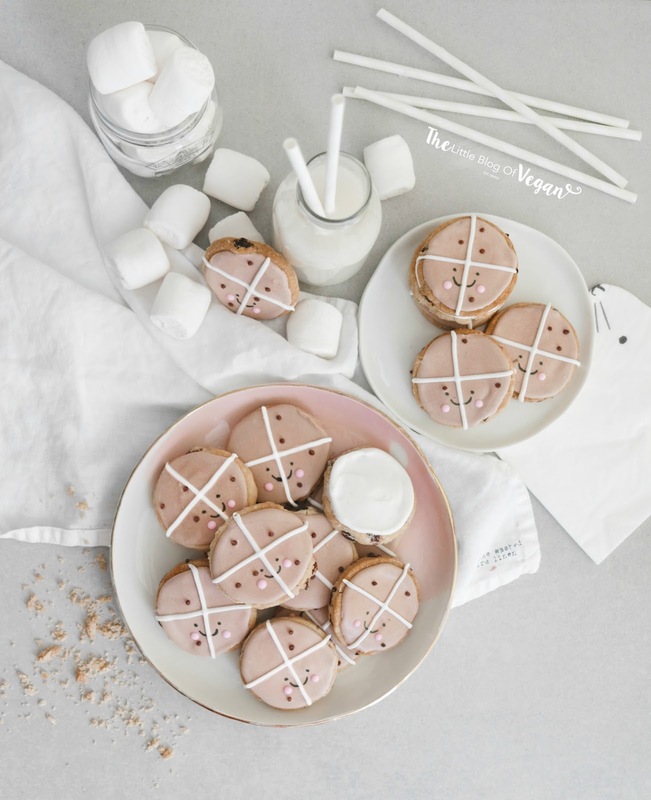 Hot cross bun COOKIES! 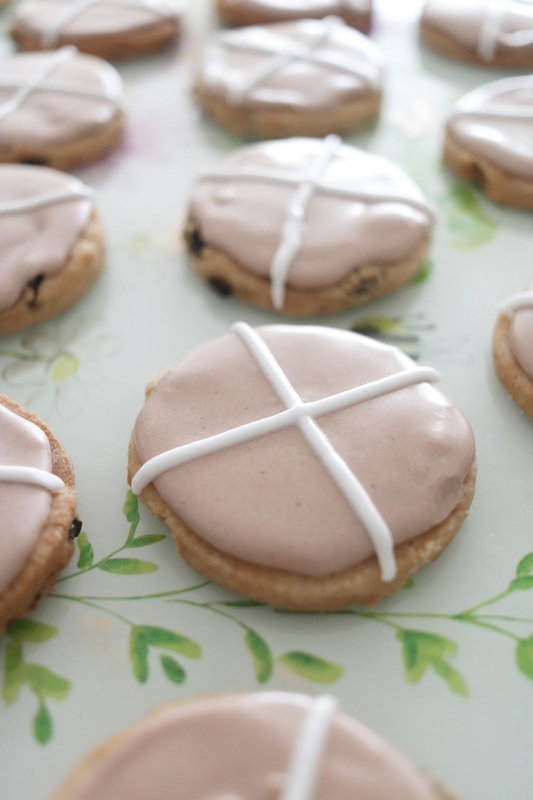 I'm sure we've all had a hot cross bun before, but how about in a cookie? 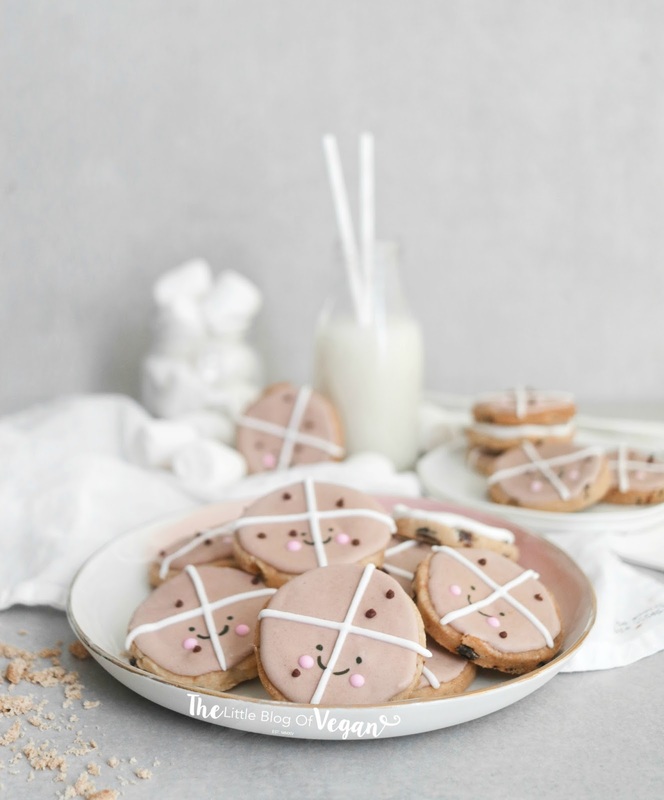 These are my vegan & gluten-free cookies, filled with raisins, orange zest and spices, decorated with vegan royal icing to make it look like a hot cross bun as well as tasting like one. It's like something from Alice in Wonderland- haha! I spotted these exact cookies in Selfridges Food Hall but they contained egg so...I took it upon myself to re-create them at home but make them VEGAN! These cookies are absolutely delicious and adorable! I'm over the moon with how they turned out, everyone loves them. 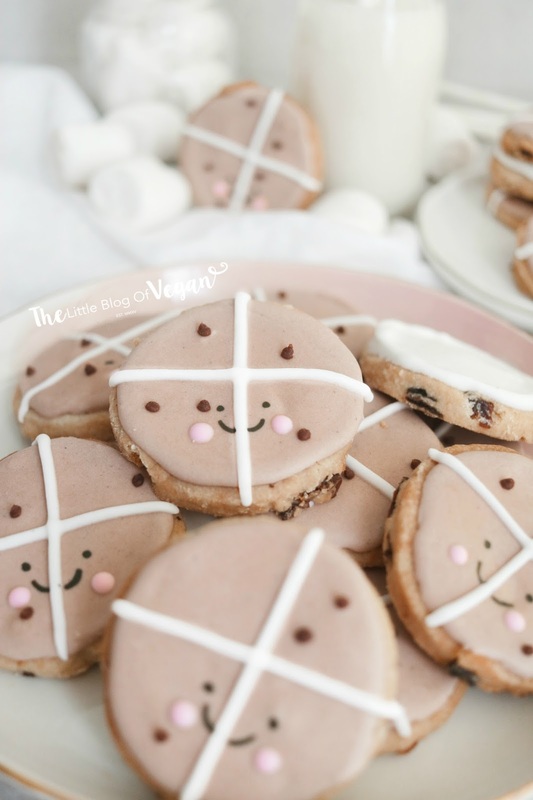 These cookies are quick & easy to make, lovely for Easter and spring! They would make lovely gifts and treats for a special occasion! Perfect to dunk into a cup of tea/coffee or dairy-free milk- YUM! Step 1- Pre-heat your oven to 180 degrees c and line a baking tray with grease proof paper. 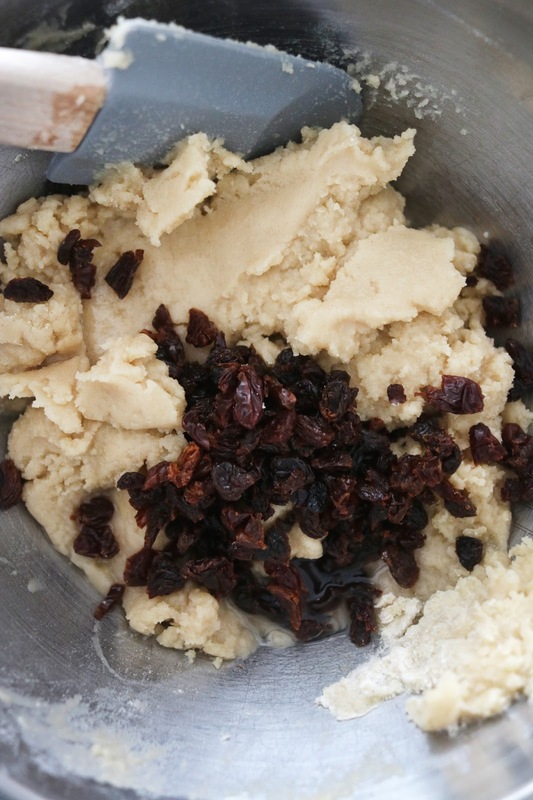 Step 2- In a mixing bowl, combine the plain flour, ground cinnamon, ground ginger, chopped raisins, orange zest, melted coconut oil and maple syrup. 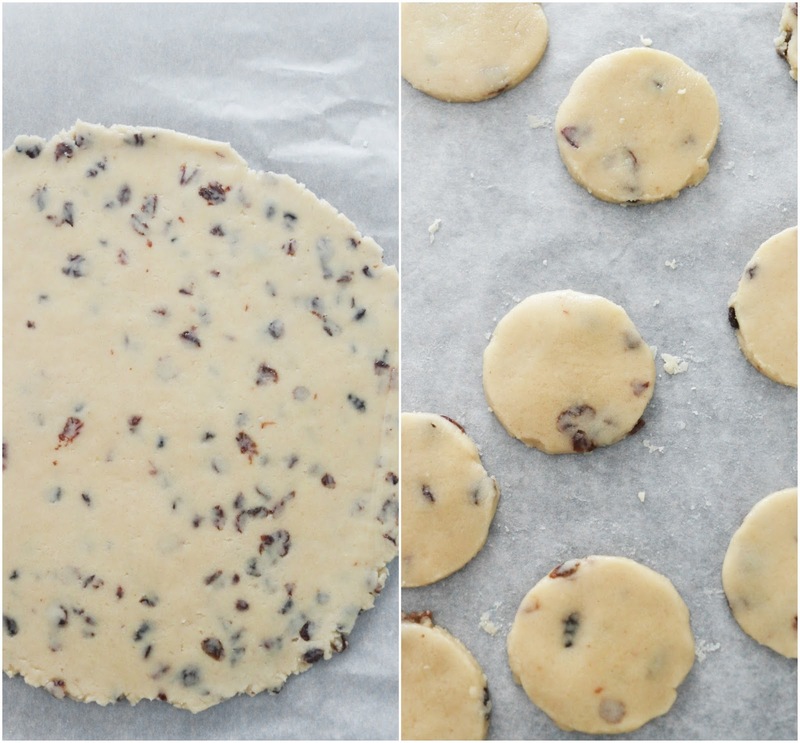 Step 3- Roll out the dough than using a round cookie cutter, cut out the shapes and place onto the lined tray. Prick with a fork! Step 5- Once baked, carefully place them onto a cooling rack and allow them to cool fully before icing. I separated my royal icing into a few different bowls. I left some royal icing plain white for 'cross' on the cookie and coloured some a dark brown and light brown. I used the light brown to flood the cookie, allowed it to dry and added on the white cross and the dark dots). With leftover white, I added a dot of pink food colouring and added on cheeks- So CUTE! I used a piping bag fitted with a small round tip nozzle to create the details. Watch this amazing video on how to decorate the cookies with royal icing! Store in a sealed container and best eaten within a few days! The royal icing hardens at room temperature. These cookies look gorgeous and so delicious!